NOV THIRD SATURDAY STEWARDSHIP DAY IS MOVED TO THE FOURTH SATURDAY, NOVEMBER 24. Join us at this preserve, originally donated to NLI by our founders George and Barbara Fell, to assist with a variety of restoration work including the removal and treatment of bush honeysuckle and common buckthorn, and burning of brush piles. 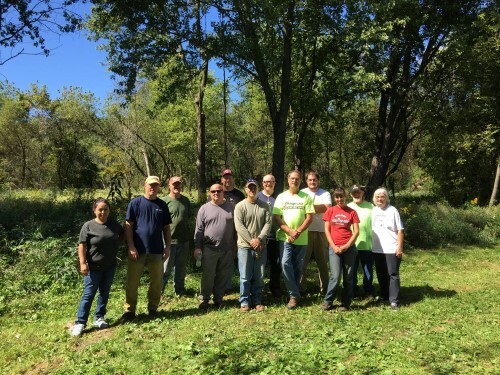 Explore the beauty of this private natural area while you provide community service. You never know, you might see a rare bird, mammal or plant. You are welcome to help during the entire time listed for that stewardship day or for part of the day. Please let Dion know what time to expect you. Dion provides tools, gloves, and water (and sometimes special snacks!). If you plan to stay through lunch, you may want to bring a sack lunch. Dress for the weather. Long sleeves, pants, and sturdy boots are recommended.